Whether you call it “Holland” or whether you call it “The Netherlands”, you will never call it ‘boring’. 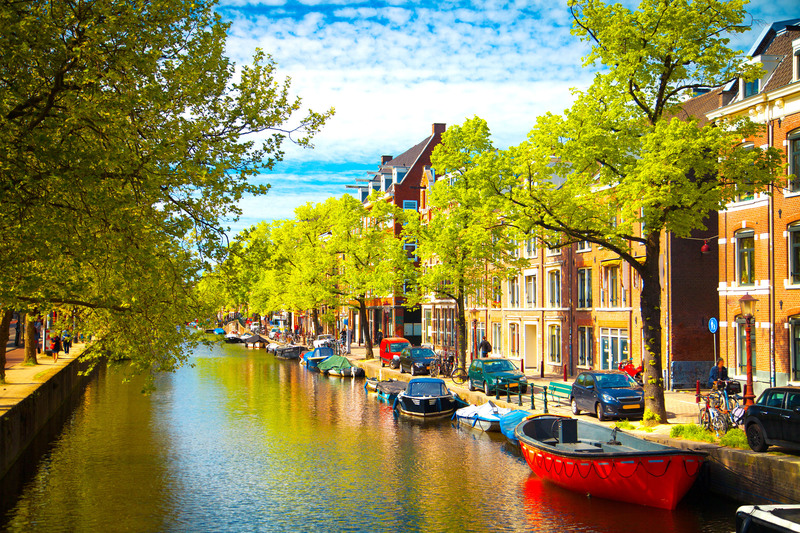 The Netherlands, often referred to as Holland, is a country of 12 provinces that are home to picturesque villages, great beach resorts, and historical and modern cities and sites. Its neighbors are Germany, Belgium, and the North Sea which offers the traveler varied coastal benefits. Holland is recognized for its many qualities: from its rich cultural heritage, its architectural creativity, stunning landscapes, extensive flower fields, and impressive water-works. Holland is over 16,000 square miles with a population of nearly 17 million and is known for its expansive, flat, bike-friendly lands, but you need not be a bike-enthusiast to enjoy all that this land so generously offers. Netherland is a country you will want to revisit many times in life, whether alone, mated, or with a group. More than a country of clogs and exquisite Delft Blue Earthenware, Netherlands is a family-friendly country rich in history, culture, and amusements. With every turn one can come across a new discovery or some mesmerizing natural or industrial wonder. Visitors from the world around come to The Netherlands to “learn”, to “escape”, to “camp out”, to “romp”, to “shop”, to “drink”, to “sport”, to “see”, and more. Your heart’s desire and more than you can imagine await you. Weather in Holland is moderate due to its maritime climate, so the summers are cool and the winters are mild with sufficient extremes for the beach-lover or the ice-skater. For the sports enthusiast, Holland is the home of the Elfstedentocht (Eleven Cities Tour) which is the biggest ice-skating tour in the world. When weather permits, you can join enthusiasts and skate from city to city along the frozen Frisian waterways connecting them. Knowing the geography of Holland and how to get around its 12 provinces is recommended: especially considering the varied, popular options for travel and touring: bike, public transport, trains, ferry- and occasionally, ice skates. With so many attractions and ways of getting around, there is never a dull moment.